The Duchess has summoned you because she is deeply concerned about the trouble at Great Bogs. Although this town borders a swamp, it plays a major role in the region's economics. She wants you to investigate and straighten out the situation "by any means necessary", promising land grants and privileges. Rules: AD&D 1st ed/Labyrinth Lord Advanced/OSRIC. Some experience with any of these rules or their basic sets preferred. 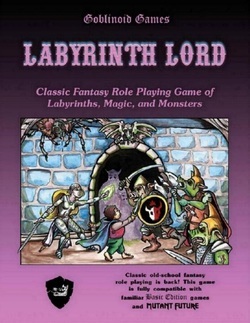 Complimentary copies of Labyrinth Lord Advanced PDF is FREE from goblinoidgames.com. Pre-generated characters will be provided, or bring your own Level 6 character (up to 5 magic items no better than +1 or equivalent value - keep it modest for balance sake). Ages 13 and up.